The following essay appears on the exhibition blog for What’s In a Meme?, currently on exhibit at the Art Gallery at the University of Maryland until April 26. See the blog post here. What does a meme look like? We usually think of memes as a visual medium – videos, animated gifs, photographs and illustrations – with the occasional inflection of audible or temporal qualities. They’re tied closely to the idea of consumption. The meme is largely an inanimate thing, waiting to be identified and consumed by its audience. What would happen if a meme were a corporeal thing? What would an embodied meme look like? Comic book writer Dwayne McDuffie and penciller Gordon Purcell tried to figure that out in 2000. The two collaborated on a ten-page story, “Communications Error,” that appeared in JLA Showcase 80-Page Giant, the type of shameless money-grab that typified the era immediately after the comic collecting bubble crashed in the late 1990s. The anthology collected seven short stories featuring various combinations of members of the Justice League of America, which at that point included DC Comics luminaries such as Batman and Superman as well as forgettable C-list hacks like Aztek and Zauriel. McDuffie and Purcell’s contribution, “Communications Error,” features taciturn Atlantean king (and constant punchline) Aquaman and D.C. native, inventor, and representative person-of-color Steel, spending time together in the Watchtower, the JLA’s headquarters on the moon. It’s an odd-couple story: Steel likes technology and surfing the internet, Aquaman is a boring killjoy. Things get exciting when Steel connects the Watchtower to the “interstellar internet” (really) to “gain access to databases from extraterrestrial cultures” (really) except he forgets to enable antivirus protection and accidentally downloads a computer virus (really). That virus? Oblivion Meme, a sentient piece of computer code that wants to bestow the gift of the end of existence. The choice to identify the malicious code as a meme is an interesting one. It’s not necessary for the story that the villain has to specifically be a meme, and it’s clear that McDuffie and Purcell aren’t clear exactly what a meme is. McDuffie knows Dawkins’s definition of memes, though: in the middle of battle, Steel remembers his college linguistics class in which he learned a meme is a self-replicating “unit of culture,” which apparently looks and operates just like a computer virus. Rather than limit Oblivion Meme to computer screens, Purcell envisions the code as a tentacled mass of futuristic, techno-organic machinery (which looks eerily similar to the futuristic, techno-organic appearance of Marvel’s Warlock, created decades prior). It’s worth noting that JLA Showcase 80-Page Giant’s cover date is February 2000, which means that it probably hit newsstands in late December 1999. Is the Oblivion Meme a transparent stand-in for the Y2K bug? Probably. Definitely. Steel and Aquaman battle Oblivion Meme throughout their moon base to no avail, until Aquaman comes up with the ingenious solution of unplugging the interstellar uplink to halt its constant regeneration (really). They finish off the bad guy, clean up the Watchtower, and become friends. Also, Aquaman discovers that he likes pork rinds (really). “Communications Error” is the awkward product of a generational shift in memes. By the time McDuffie and Purcell collaborated on the story, internet-based phenomena such as Bert is Evil, Hampster Dance, and Dancing Baby had begun to go viral, but there was still a sense of naiveté, as though these were popular media phenomena that just happened to be natively digital, rather than the precursors of a new genre of expression. Nonetheless, in its physical form Oblivion Meme certainly predicts the overwhelming hegemonic nature of internet meme culture. Leeroy Jenkins and Grumpy Cat may not seek to bring us the sweet embrace of eternal death, but they are representative of a pop culture hive mind that has transformed the way modern societies consume, transmit, and generate meaning. Perhaps Oblivion Meme is a pretty accurate representation of the concept of memes after all. She Looks Like a Nice, Quiet Girl. Until You Realize She’s Staring at You. They Pledged to Fight in Defense of Their City. They Could Never Have Guessed What Happened Next. It Looks Like a Bunch of Random Geometry. Wait Until You Hear What it Really Means. 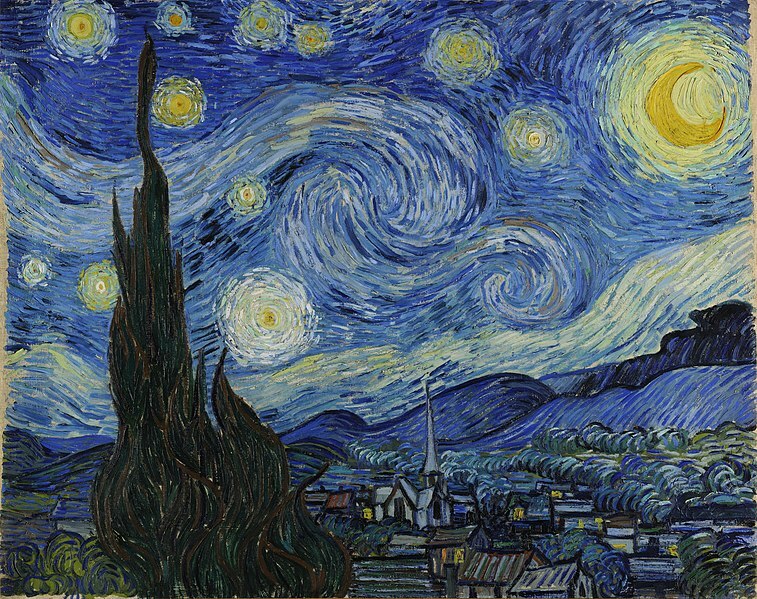 WARNING: Once You See This Painting, You’ll Never See the Night Sky the Same Way Again. He Led an Army of Tired, Injured Volunteers Across the River. What Happened Next Will Amaze You. He Thought He Heard an Infinite Scream. You’ll Never Believe His Response. Don’t Think That a Shell is Still Fashionable Summer Wear? Check Out How This Goddess Rocks It. She Just Wanted to Try on a New Piece of Jewelry. So Why Won’t This Artist Leave Her Alone? One Painting That Sums Up What Politicians Across the World Will Never Understand. Proof That All You Need to Make a Connection is to Reach Out and Touch Someone. If You Think This Boy is Doomed, Just Wait to See How This Story Ends. Gilbert Stuart, The Skater (Portrait of William Grant), 1782, oil on canvas. National Gallery of Art, Andrew W. Mellon Collection. 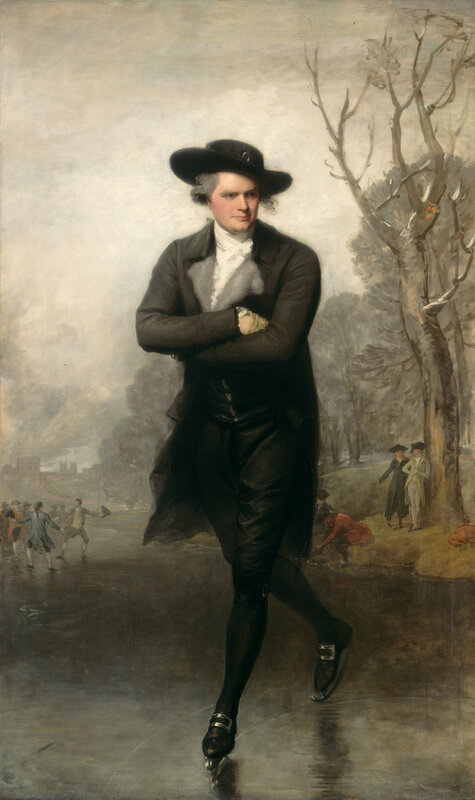 One of my favorite paintings at the National Gallery of Art in Washington, D.C. is Gilbert Stuart’s The Skater, a 1782 portrait of Scotsman William Grant. The unusual work pushed against the boundaries of Grand Manner portraiture, presenting the sitter not as an immobile businessman or politician surrounded with emblems of his family and success but in the course of physical activity, skating along the Serpentine River in Hyde Park. Although moving, Grant doesn’t look particularly excited to be out for an afternoon skate. Arms crossed – which apparently is how folks skated in the eighteenth century, amazingly – his body moves in one direction while his stoic face stares out the other way. According to biographer Richard McLanathan, Stuart began painting Grant’s face with the intention of executing a more traditional portrait before switching to the on-ice idea. The Skater received rave reviews at the 1782 Royal Academy of Arts exhibition and was the reputation-enhancer Stuart needed to strike out on his own, after nearly six years as a studio assistant in Benjamin West’s workshop. Stuart owed his career to West, in terms of training, networking, and financial support. When Stuart arrived in London in 1775 to establish a career as a painter he was firmly set on avoiding West, the most successful American artist of the eighteenth century, who happened to be based in London. Things didn’t work out quite as how Stuart planned. In terms of artists working in the colonies he was one of the most talented, but his precocious ability was nothing in the growing artistic center of London, and his utter lack of connections doomed him before he could even begin. Pitty me Good Sir I’ve just arriv’d at the age of 21 an age when most young men have done something worthy of notice & find myself Ignorant without Business or Freinds, without the necessarys of life so far that for some time I have been reduced to one miserable meal a day & frequently not even that, destitute of the means of acquiring knowledge, my hopes from home Blasted & incapable of returning thither, pitching headlong into mistery I have this only hope I pray that it may not be too great, to live & learn without being a Burthen. It’s easy to imagine the depths of despair which Stuart made legible in his letter, which seems as much a personal catharsis as an attempt to convince West to take him on. It was wholly unnecessary as well. West was glad to take on fellow Americans as students, without letters of introduction or any personal prior knowledge. Indeed, in later years Stuart would revise his story of meeting West, claiming that he showed up unannounced on West’s doorstop in the middle of a dinner party of expats, one of whom knew Stuart’s uncle. Stuart still comes off as impulsive in that retelling, but it’s understandable why he’d want to attempt to erase his pleading letter from history. His revisionist history of his first interaction with West is just one of the ways Stuart attempted to downplay the influence of his mentor on his own career. Although West provided the young Stuart the necessary artistic training in order to compete with the skilled painters active in England, as well as with the access to a network of patrons, collectors, suppliers, and fellow artists necessary for success on a European stage, Stuart constantly attempted to distance himself from West in the public sphere. The two artists held different goals for painting, and saw different purposes for art in society. 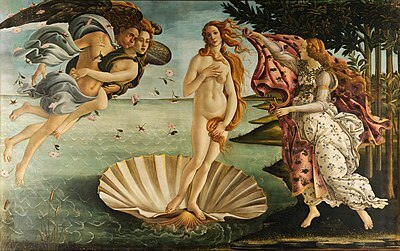 West believed in history painting as a way to transmit morals and values to society at large. Stuart didn’t care about history painting, preferring portraiture. His goals – at least until he returned to America in the 1790s – were simply to make enough money and gain enough fame to exist comfortably in European high society. Beyond working toward a different goal for art and in a different genre, Stuart simply resented West for the fact that Stuart needed to beg for his help. The younger artist was fond of mocking West to sitters and friends. Susan Rather recently wrote an article on “Contrary” Stuart’s outspoken persona, in which she highlights some of his lowlights in dealing with West: “He made fun of West’s technical flaws as a painter and his contrastingly impeccable appearance as a man,” calling him effeminate and mocking his sense of decorum. One of the reasons I like The Skater so much is that as a hockey player and fan I rarely see my sport of choice reflected in art, let alone from the period I study (Henry Raeburn’s The Skating Minister is the primary other example). Which is why Grant’s awkward stance always stood out to me, and why I think the painting also functions as a jab at West. Benjamin West didn’t keep a diary or maintain archives of his correspondence, but did essentially dictate the biography of West written by novelist John Galt, The Life and Studies of Benjamin West, published in two volumes in 1816 and 1820. Galt’s biography, more of a hagiography or a memoir than anything else, is full of barely-believable anecdotes about West’s life: he taught himself how to draw at age four, learned how to mix pigments from Native Americans, plucked hairs from his cat’s tail to make a brush. During winter, at Philadelphia, skating was one of the favourite amusements of the youth of that city, and many of them excelled in that elegant exercise. Mr. West, when a boy, had, along with his companions, acquired considerable facility in the art; and having become exceedingly fond of it, made himself, as he grew up into manhood, one of the most accomplished skaters in America. They spoke of his talents as a skater; and their praise, in all their usual haunts, had such an effect, that, in the course of a few days, prodigious crowds of the fashionable world, and of all descriptions of people, assembled to see the American skater. When it was afterwards known to the public that he was an artist, many of the spectators called at his rooms; and he, perhaps, received more encouragement as a portrait-painter on account of his accomplishment as a skater, than he could have hoped for by any ordinary means to obtain. It’s easy to see where executing a portrait of an ice skater could be seen as commentary on West. I’ve no doubt that Stuart and Grant actually did go skating on the Serpentine, and even that it was a late consideration on Stuart’s part to memorialize that event in his portrait of Grant. Galt’s biography wasn’t published until 34 years after Stuart completed The Skater – did West tell the story of his skating prowess frequently? Considering the other major player in the story, Colonel Howe, was by then point leading the British forces in North America, it would come at no surprise that West would try to associate himself with a major figure in the news (and hint at a kinship with a stalwart of Britain, at a time where it would have been quite disadvantageous for the American painter to be seen as a rebel). I wish I had a definitive answer as to whether or not Stuart was trying to use the unusual composition of The Skater to assert a new-found independence from West. That would certainly fit in with Stuart’s modus operandi and would make for a compelling story. 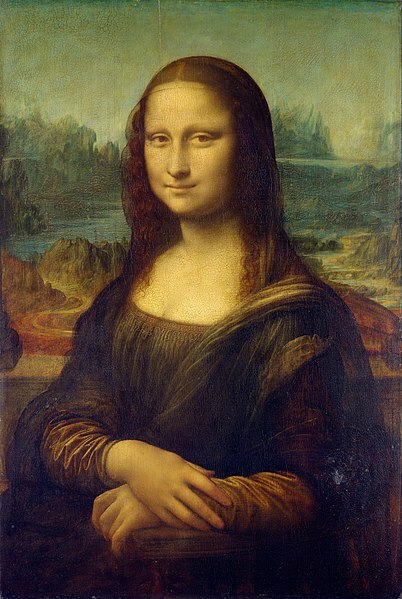 What better way to establish oneself as a premier portraitist in London than to execute a masterpiece which not only outshines anything being produced by your master, but which references that master’s source of fame and reminds that West needed his skating ability to draw the attention of potential patrons, in turn a reminder that West’s artistic ability was not good enough on its own to allow him to succeed. My father, Kenneth Fox, passed away on June 20 at the age of 77. This is the eulogy I delivered at his memorial service. My dad was a Renaissance man. He was the smartest man I’ve ever known. You’re going to hear that a lot today, so get used to it. He collected degrees and awards like some people collect stamps or baseball cards. He earned a bachelor of science in physics and mathematics, with high distinction, at age 21, then his master’s at age 22 and his Ph.D. at 26. He was a tenure-track professor at the University of Tennessee at age 30, commuting there from Maryland after he moved to Bowie and started a family. In addition to teaching and research he served as a consultant for multiple nuclear research labs as well as NASA, and in the middle of all that, he earned a J.D. at the age of 46, and was admitted to the bar in not one, not two, but three states. The only thing he wasn’t good at was retirement. As soon as he left the University of Tennessee he started teaching right again at Anne Arundel Community College, and hosted two award-winning science shows on Bowie public television. He ran for the Prince George’s County School Board in his 60s, he was appointed to the county board of elections at age 71 and 75, and somewhere on his laptop is an unfinished journal article about some minutaeu of nuclear energy generation that he was preparing to publish. My dad earned all of those awards and accomplishments, and he was proud of them. But it wasn’t the highest accolades he was most proud of, it was the ones he worked the hardest on. In his home office there are four awards displayed over the cedar chest that contains all of our important family files. There is his B.S. degree in physics, with high distinction, from Wayne State University. Dad got into M.I.T., but stayed home in Detroit because his family couldn’t afford it. Instead, he encouraged all of us to pursue our academic interests to the fullest, and never second-guessed Rachel or I when we decided to pursue advanced degrees. There are two Certificates of Appreciation honoring the 2000 selection of his Bowie Community TV show Science, Science as that channel’s “Best New Series.” That was his first post-retirement project, and he learned all the aspects of the TV industry, from producing to directing to editing to hosting, to make it a success. For a few years it was all he would talk about, the recent guest speaker or the contemporary topic he was going to fit into the broacast. The fourth award is a proclamation from Martin O’Malley, appointing my dad to the Prince George’s Board of Elections in 2007. Chances are, if you ever went to a civic event in Bowie, or even just went to the grocery store, at least once you saw my Dad outside registering people to vote. He was there at Bowiefest this year. He got one person to register to vote, and he probably saw that as a success. One thing my dad didn’t believe in, at least at first, was the sport of ice hockey. He hated that Matt and I played hockey. Who would have thought a man who grew up in Detroit watching Gordie Howe and Ted Lindsay and the Production Line in their prime could hate hockey? He wanted us to play anything instead. Hockey was too violent, and the broken bones and bruises Matt and I have accumulated over the years proved him right. For a few years he refused to take us to our hockey practices, and would sign us up for baseball, basketball, and soccer through the Bowie Boys and Girls Club, even after I begged him not to. He even convinced Matt to try his favorite sport, tennis, at least for a little while. However, once he saw how much hockey meant to us, the friendships we built and how we learned to work as a team, he started to come around, and even joined us in rooting for the hometown Washington Capitals. In 1993, the Caps were playing the New York Islanders in the first round of the playoffs. Going into game six, Washington was down three games to two in the series. The Islanders were leading late in the third period when Pierre Turgeon scored an insurance goal to guarantee the end of the Capitals’ season. As Turgeon celebrated, Washington’s captain Dale Hunter slammed him into the boards and injured him. Hunter was condemned for the illegal hit, and rightly so. It was a dirty play. However, for my parents, Hunter wasn’t just a professional athlete, he was a friend. I’d played on a team with his son, and he showed up to as many practices and games as possible. While everyone and their brother was bashing Hunter, my dad wrote a letter to the editor of the Bowie Blade-News, saying that Hunter’s actions were out of character and that the real Hunter was an upstanding citizen and family man. He publicly supported for this person, who deserved a lot criticism, because he couldn’t stand to see a good man’s entire life slandered over one snap decision. That tells you the type of man my father was. He always spoke up for what was right, and he was never afraid to fight uphill. He was so, so proud of all of his children and what we accomplished. We never had to dream big, because he’d do it for us. When I wrote a column for my college newspaper, he tried to convince me to talk to a publisher about a book deal. Any time there was a story about art in the Washington Post, he’d call me to tell me to look for it, and ask if there were any angles in it that could help advance my career. He thought it was fantastic that Matt worked for professional and major college sports organizations, and always tried to get the inside scoop about the Caps personnel movements. He believed in us when Matt, I, and a few of our friends formed a charity to run a hockey tournament, and was one of our strongest supporters. He thought my wife Sara and Matt’s girlfriend Kiki were the best things to ever happen to each of us. Rachel is a world-class synchronized figure skater and Dad loved to travel across the globe to watch her compete, and to tell his friends about her silver medal in the world championships. Apparently, once he got started telling someone about any of his kids’ accomplishments it was hard to get him to stop. He was stubbornly persistent in most things he did. There are a lot of people out there who thought he was a hard-nosed jerk sometimes. I certainly did. He always liked to be right. You can ask Sara, he passed that trait on to me. Even through all that stubbornness and intensity, he was a man who cared deeply. He cared about science. He cared about the law. He cared about society, and this city. And he cared deeply about his family. He loved his entire family, my mom most of all. He was incredibly invested in her happiness and her success. In recent years his tough facade began to drop and he let the world see how much he and my mom cared for each other, and how much he depended on her. When she came home from work he’d ask her how her day went, and if it was a tough day, he’d cry while listening to what had happened. We took so many trips together as a family, and when it wasn’t easy for him to travel anymore, he’d encourage my mom to go places anyway and bring back stories. They depended on each other. The great irony in all this is that, after several years of declining health, my dad had finally begun to take responsibility for his health again. His heart condition slowed him down, his spinal stenosis made it hard for him to walk, and he could barely hear. He’d had a cancerous mole removed from his temple a few years ago, and there was another nasty one growing on his arm that he was determined to ignore. Dad hated needles, hated anesthesia, hated surgery. Eventually we got him to go to the dermatologist, who took one look and told him it was malignant and he needed to make an appointment at the hospital. It took an intervention this past Thanksgiving to convince him to make that appointment. The surgeon told him she’d need to dig deep, and he didn’t want to do it. He was content to play out the string, to take his chances. It took another intervention by Rachel in May to follow through and schedule the surgery. She’s a medical doctor now, you see, so he listened to her advice. That surgery was scheduled for four days ago. I have one last story to tell you, about how I’ll always remember my father. This wasn’t my dad’s first heart attack. When he was having heart issues about seven years ago, he went in for an exam, and his cardiologist told him that his test results showed that he’d suffered a minor one at some point in the past, without even knowing it. His heart wasn’t in good shape even then, and he needed double bypass surgery. We scheduled the surgery for a morning up at Johns Hopkins. It was an emotional experience, sitting in the hospital room waiting for dad to get taken in to the operating room. Double bypasses have a very high survival rate, but it’s not 100%. He told all three of his children, in turn, that he loved us and was very proud of us. Then he told my mom he loved her as well, and gave her his account book, with a list of all the people she’d need to contact in case he didn’t make it out of the OR. I don’t know if he did or not. I never asked him about that moment, never even told him I saw it happen. I just knew I was privileged to witness it. Dad, I don’t know if you are dreaming now, but I hope you are at peace. This morning I delivered a conference presentation at the Popular Culture Association/American Culture Association annual conference in my backyard of Washington, D.C. What follows is that talk, both the text and the PowerPoint presentation. Any and all comments, suggestions, and criticisms are welcome. This presentation text is available under a Creative Commons CC BY-NC-ND license. You may download this work and share it as long as you credit it, but cannot alter it in any way or use it commercially. Please note that the usage of images in this presentation falls under the fair use doctrine. You may download a .pdf of the talk here: The Color and The Shape. The PowerPoint is available below. In seeking paths around the all-too-frequent roadblocks that pop up during the writing process, I’ve continually sought out a variety of advice on writing and examples of strong writing in action. A personal favorite for advice is Paul Barolsky’s “Writing (and) the History of Art” (The Art Bulletin, vol. 78, no. 3, pp. 398-400) which still holds up well after almost twenty years. In terms of examples, each essay chapter of Ian Bogost’s How To Do Things With Videogames incites a pang of jealousy for its clear prose as well as thoughtful ideas. The current piece of advice I’ve been batting around in my head is that of Sir Arthur Quiller-Couch, to “Murder your darlings.” I’ll freely admit a fascination with particularly witty turns of phrase in my own writing, so it’s helpful and timely advice. The next major event in my academic life is a presentation at the Popular Culture Association/American Culture Association National Conference next week. Unlike the recent art history conferences at which I’ve presented, which allowed for 20 minutes for presenting, my PCA/ACA session only allows for 15 minutes per speaker. With a shorter time frame, crafting a talk has been a difficult process. By this point I’ve mostly internalized the notion that “conference talk = 20 minutes.” My general process is to write about ten pages and then cull that down to a 20-minute talk, which has become a longer process when the end result needs to be six or seven pages instead of eight or nine. Instead of cutting extraneous phrases and clarifying poor wording, I’ve had to cut multiple entire concepts to get the talk to a point where I’m comfortable. Slicing and dicing my PCA/ACA presentation hasn’t necessarily resulted in a strong argument, but it has resulted in more precision and a clearer voice. Looking at the 15-minute presentation, I’m not sure one with an extra five minutes would improve anything. In cutting down my talk, for the first time I’ve put considerable effort into signposting questions for the audience to ask instead of simply excising any and all hints of the removed content.